Incorporated since 1970, Amalgamated is a professional Fire and Security solutions provider. The company specialises in Fire Alarms and Detection, Fire Extinguishing Systems, Emergency Lighting and Security Systems across the UK. 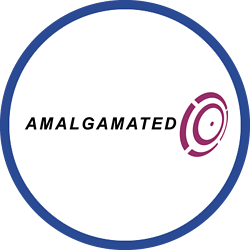 Amalgamated had a vehicle tracking solution in place. However, it was no longer addressing the business’ key requirements because it provided visibility of engineer locations only when engineers were in their vehicles. The system therefore needed re-evaluating. The company’s primary requirement was for a solution which would enable it to gain full visibility of its engineers, even when on foot. This level of data could not be achieved with the existing system. However, this information is necessary for customer service purposes. It is important for management to be able to quickly identify which available engineer is in closest proximity to a new job when it is called in. A secondary requirement was to address the Amalgamated management team’s own concerns about engineer welfare and safety. Engineers typically work alone – sometimes in empty premises outside of normal working hours. At the time, Amalgamated’s lone worker policy consisted of a manual process where engineers were required to phone into the office to verbally “check-in” at regular intervals through their working day. However, this method was proving to be inconsistent and the management team deemed it to be an unacceptable solution. The decision was taken to review the market for a more robust solution. In 2012, Amalgamated decided not to renew with its existing vehicle tracking supplier and to look for a solution that would give it greater visibility of the engineers both in vehicle and on-foot. The company implemented Crystal Ball’s MobileTrack Pro with the optional workforce management bolt-on MobileMonitor and Crystal Ball’s lone worker solution MobileLWP. The business now has a capable, single-platform solution which conveniently operates on the engineers’ mobile handsets. With MobileTrack Pro, Amalgamated now has the ability to monitor its engineers’ locations in real time, both in the vehicles and now also when they are onsite on foot. This functionality enables management to efficiently designate jobs based on an engineer’s proximity to call-outs. The system also has alarms and alerts configured to notify management if the devices lose signal, when the battery is too low, or when a driver exceeds certain speeds. MobileLWP allows Amalgamated to monitor the welfare and safety of its engineers when they work alone or outside of normal business hours. This is possible through panic alarms which can be activated if necessary. Amalgamated also decided to integrate MobileRescue into the lone worker solution. Panic alarms are thus managed by an external Alarm Receiving Centre staffed by professionals who are trained in dealing with emergency situations. By implementing this optional extra, Amalgamated does not need to deal with alarms internally and can rest assured that any alarm raised out of hours will be dealt with swiftly and appropriately. Implementing MobileTrack Pro has enabled Amalgamated to have complete real-time visibility of its engineers 24/7, whether in transit or on-site. Gaining access to this data has increased the productivity within the business and more importantly enhanced the level of customer service it can offer. With real-time locations displayed on a map, management can now identify the closest engineer to a customer and this has significantly reduced response times. As well as improving customer service, the implementation of MobileTrack Pro has also provided Amalgamated with increased visibility of its workforce. By utilising the alarms and alerts functionality and by configuring alerts when a driver exceeds a certain speed, administrators can now ensure company vehicles are driven responsibly. Additionally, management are now able to manage time and attendance more accurately and efficiently.